News Corp CEO Rupert Murdoch has filed for divorce from third wife, Wendi Deng, who he married in 1999. News Corp (NWS) CEO Rupert Murdoch filed for divorce from his wife Wendi, days after his company announced approval of its own split, a Murdoch spokesman confirmed Thursday. Murdoch, 82, filed for divorce Thursday from his wife Wendi Deng, who he married in 1999 shortly after his divorce from Anna Torv Murdoch. It is unclear what prompted the split, though it comes after months of speculation about the state of the couple's relationship. She is Murdoch's third wife. 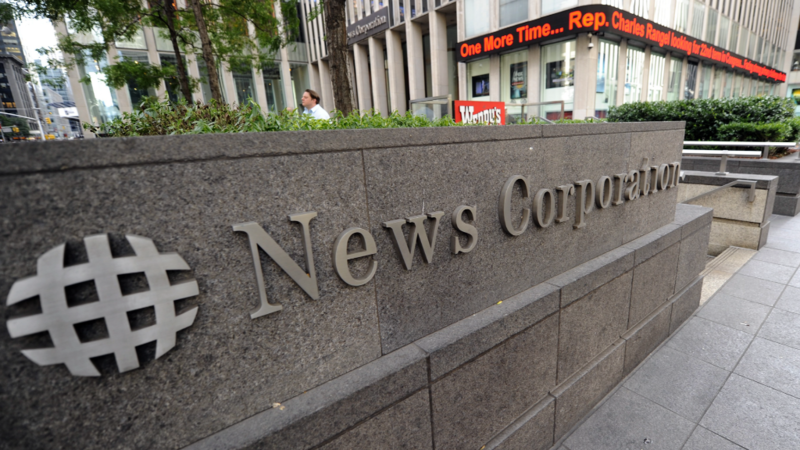 On Tuesday, News Corp shareholders approved the split of the company into two publicly traded companies, one for its newspapers and book publishing business, the other for its television and film properties. The split is expected to be final later this month. Related: Who is Wendi Deng Murdoch? Murdoch's net worth was most recently estimated to be worth $11.2 billion putting him in the top 100 of the world's richest people, according to Forbes' 2013 World's Billionaires list. Deng stood by her husband throughout a controversy surrounding the phone hacking of celebrities, politicians, victims of crime and others by people working for Murdoch's tabloids in the United Kingdom. In the summer of 2011 She even slapped a protester who had planted a shaving cream pie in her husband's face, creating a much talked-about spectacle and earning her the nickname of "Tiger wife." Nearly half his age, Deng met Murdoch at a Hong Kong cocktail party shortly after she graduated with a masters degree from Yale and went to work at Star TV, a Hong Kong-based satellite television service owned by Murdoch. The couple have two daughters together, while Murdoch has four older children from his previous marriages. News Corp announced last summer that it planned to split its operations into two publicly traded companies. Murdoch, the company's largest shareholder, will remain chairman of both companies. While it is not publicly known whether Murdoch and Deng inked a prenuptial agreement, if they did, Murdoch likely filed in New York because of the state's tendency to enforce prenup terms, said Michael Stutman, a New York-based divorce attorney and president of the New York chapter of the American Academy of Matrimonial Lawyers. "New York will apply those terms so long as they are not grossly unfair or unconscionable," he said. "The same cannot be said about every other country in the world." An earlier version incorrectly stated that Michael Stutman was president of the American Academy of Matrimonial Lawyers. He is president of the group's New York chapter.